Offered a new job in Salem as the sheriff, Wayne Downs (Bill Oberst Jr.) moves into a new home in Salem alongside his wife and two kids. As you would expect the kids hate the place but as their dad has a new job in town they have no choice but to live in the place where death has struck many times. It doesn't take long for things to not feel right in the home, with the daughter getting affected most by the vengeful spirits on the property. As the bodies pile up Sheriff Downs soon takes matters into his own hands and investigates the property they live in, finding out a grisly history that the town try to keep hidden. Will Sheriff Downs save his family from becoming another statistic in the town made famous by the witch trials? For a haunted house movie it does contain a pretty impressive body count, that being of eight and four of those are in the first half an hour. As always Bill Oberst Jr. does a great job with his character, convincing you that he may not be mentally fully stable. Of course there has been many movies with the title 'A Haunting In.....' insert town name, but quite a few of those are pretty bad so it is refreshing to see one stand out. 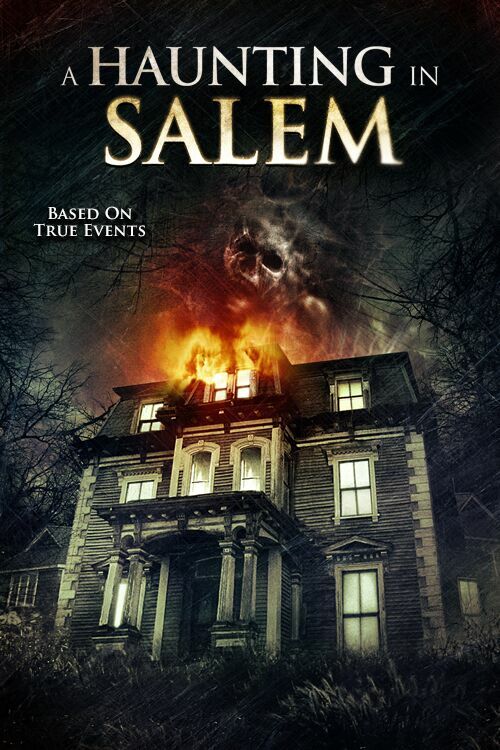 A HAUNTING IN SALEM was directed by Shane Van Dyke who notably was one of the writers behind the Bradley Parker directed movie CHERNOBYL DIARIES (2012). Sure A HAUNTING IN SALEM doesn't have the greatest story, a lack of tension build up and a few characters that are just hanging around to be killed off but the movie is short. Worth checking out if you are a fan of what 'The Asylum' put out and want to see what they could do with a haunted house story.